My name is David Goodlad and if you have a problem with your drinking I can help. I provide effective alcohol counselling. If you are having problems with someone else’s drinking, I can help. I have over 25 years experience in alcohol counselling. If you want to stop drinking call me. If someone close to you has alcohol problems and you don’t know what to do, call me. I am a senior alcohol counsellor based in Canterbury, Kent. I help people suffering from alcohol problems and other addictions. As a counsellor I will help them into recovery. I provide a confidential and respectful assessment process. I look at the facts of a situation and make an achievable treatment plan. Call now to book a counselling appointment on 01227 290 098. Click here to take our alcohol use questionnaire. Contact me for an alcohol assessment, alcohol counselling, the treatment of alcohol problems and alcohol binges. Contact page. There are two primary questions to ask when considering alcohol problems. When you want to stop do you (or they) find you can’t? When drinking how much control is there over the amount consumed or the time spent? These are critical questions. Most people are surprised that they can’t actually stop drinking and are often relieved to speak about this to an alcohol counsellor. 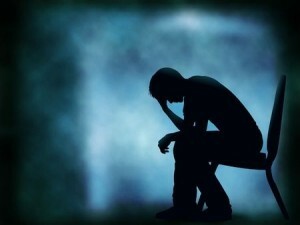 Clients can be frightened of others finding out about their addiction and alcohol problems. Furthermore, despite these alcohol problems the drinking continues. Consequently people comment on the drinking behaviour. This can cause the person get angry or irritated when their drinking is discussed. They get irritated if they are accused of having an addiction. Finally, this can result in the person wanting to completely avoid talking about their drinking. 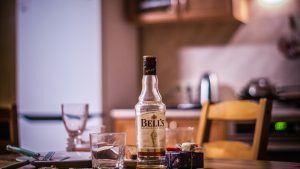 What alcohol counselling do I provide? I have been an alcohol counsellor for over 25 years. I provide counselling for alcohol problems, binge drinking and alcohol dependence in a private, confidential and very discrete environment. You won’t have to wait in a waiting room. My practice is not open to the public. There is a free car park for you. The alcohol counselling is over a course of sessions. Initially I will explore with you what is going on. I will undertake an initial alcohol assessment. Together we look at your total relationship with alcohol. We will consider the possible effects and various options available. You will have a uniquely tailored alcohol counselling programme. Sometimes, alcohol rehab is the preferred course of action for addiction. In this cases, I have a vast knowledge of what is available and can provide clear information on the choices available and suitable aftercare. At Canterbury Healthcare we have experts in the alcohol field to support you. We offer all the necessary psychotherapy options with one of the most qualified and experienced alcohol counsellors in the UK. We now have a new and beautiful setting for our counselling session, ten minutes from Canterbury, Kent. Our approach might appear simplistic – that’s because it needs to be. Confusion, fear and lack of trust usually abound by time a client comes for help. However, it is never too late to change. Is seeing a therapist for drinking problems for me? If needed, psychiatric assessments are available. Please contact us at the same number for more information. Canterbury Healthcare expert, David Goodlad is able to see clients by appointment only and his practice is strictly governed by the BACP and FDAP code of ethics for practice. He also consults to the Priory Clinic, Canterbury. This is a professional alcohol counselling service from a fully qualified therapist within easy reach of Canterbury, Herne Bay, Dover, Folkestone, Deal, Whitstable, Minster, Sittingbourne, Ashford, Faversham, Whitfield, Sandwich. The office is one minute from Canterbury East Station. In September, 2003 David Goodlad represented the UK treatment providers at an international conference arranged to agree a consensus on a core framework for the Minnesota Model of alcohol treatment. Representatives from 27 countries were present including Mongolia, Russia, Tajikistan, France, Belgium, Eire, USA, UK and Australia. Addiction is a chronic relapsing but treatable condition. Integrate the 12 Steps (AA-NA etc) into the Group Treatment Program. An interdisciplinary team is involved in the treatment process (this means, medical, psychotherapeutic based cognitive behavioural therapy, social work and spiritual needs). Family members and others important to the patient are involved in the treatment process (family meetings, education, support groups, employers, therapy for family/significant people if needed). Aftercare should be conceived as a continuation of rehabilitation (‘In house’ support groups, AA – NA – Al-Anon support groups, family groups, relapse support groups etc. as needed). Take a look at these 12 steps. If you or someone you know is following more than a few of these, it’s time to ask for help. We are here to answer your call. 1. I stated that I could hold my liquor and was master of my life. 2. Believed I was sane and rational in every respect. 3. Decided to run my own life and be successful in all my undertakings. 4. Made a thorough and searching inventory of my fellow man and found him lacking. 5. Admitted to no one, including God and myself that there was anything wrong with me. 6. Sought through alcohol to remove my responsibilities and to escape from the realities of life. 7. Got drunk to remove my shortcomings. 8. Made a list of all persons who had harmed me, whether imaginary or real, then swore to get even. 9. Got even whenever possible, though when I would do so, I would further injure myself. 10. Continued to find fault with the world and the people in it and when I was right, promptly admitted it. 11. Sought through lying, cheating and stealing to improve myself materially at the expense of my fellow man, asking only for the means to get drunk or stay drunk. 12. After having a complete moral and financial breakdown as the result of this kind of living, I tried to drag those who were dear to me down to my level, and practised this reasoning in all my safaris. April 1949 Grapevine Wilmington, California, J. F. D.